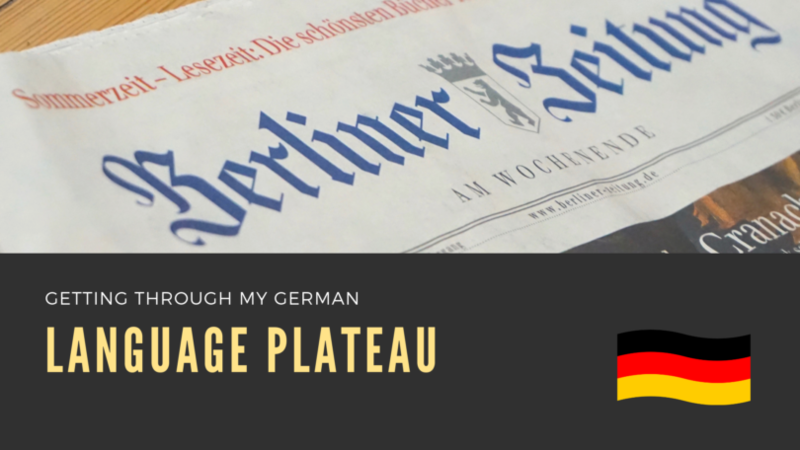 How am I getting through my German plateau? 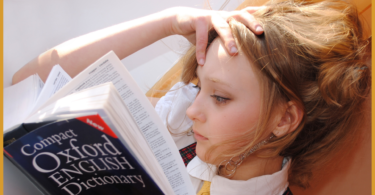 One of the most annoying things a language learner can face is a language plateau. It is a situation happening usually at the intermediate level and makes you feel stuck. You are learning but nothing is happening. No progress, no development. There isn’t probably one way to get through this difficult period. However, I can share with you my experience which I hope you will find useful. It started a few years ago. I was quite confident about my German language skills and I thought that the mythical perfect fluency is just one step ahead. I confidently dived into reading books and watching films. The clash couldn’t be harder. It was as if I was losing everything I knew. I understood maybe 50%-70% of books, with films it was even harder. I wondered what the reason was. Maybe I needed more time? I just continued what I had been doing. That turned out not to be enough. Maybe I was doing something wrong? Language plateau is a very complex phenomenon. Firstly, there is the clash I described. You think you know a lot and when faced with the language in real life you understand little. This doesn’t come to me as a surprise now. It is because what you’ve learnt is actually just a tiny little part of the whole language. You know 5-10 thousand words of hundreds of thousands. That’s a small percentage (even if it is the part of the vocabulary that is most commonly used). Secondly, real language is not Hochdeutsch, the standard German. It’s a mix of accents and dialects which are so different, that I still wonder why they are considered the same language. In my case, I was just not used to all the different forms that are used in Bavaria, Austria, Switzerland etc. I also had problems with expressing myself in public, e.g. responding quickly on Facebook. There were so many things that went wrong with me that I considered this a lost cause for a while. Luckily I didn’t give up. The first thing that I allowed myself was to slow down. I realised that my progress wouldn’t be as fast as at the beginning. Instead, I decided not to worry. I didn’t need it now or tomorrow. I was doing it for fun at the time. There is no rush, no stress. Each word learnt at the beginning of the process was a huge change. Later one needs to learn dozens of words to get the same change. One of the often forgotten things in language learning is the fact that we forget things. We study a grammar rule, set of words, but they need to be review regularly. As the amount of knowledge grows, these should take more and more time. Very often, however, there is no time for that. Vocabulary topics studied a few months ago may not have been reviewed at all. I went two steps back and review everything from B1 level. This was so refreshing! By repetition, I could better feel the words and their collocations, fiddle with basic grammar you already understand a lot better than when you learnt it for the first time. With this, I was reassured that I was not that bad at German as I felt. It helped with my motivation and boosted the enthusiasm for learning. How did I do it? 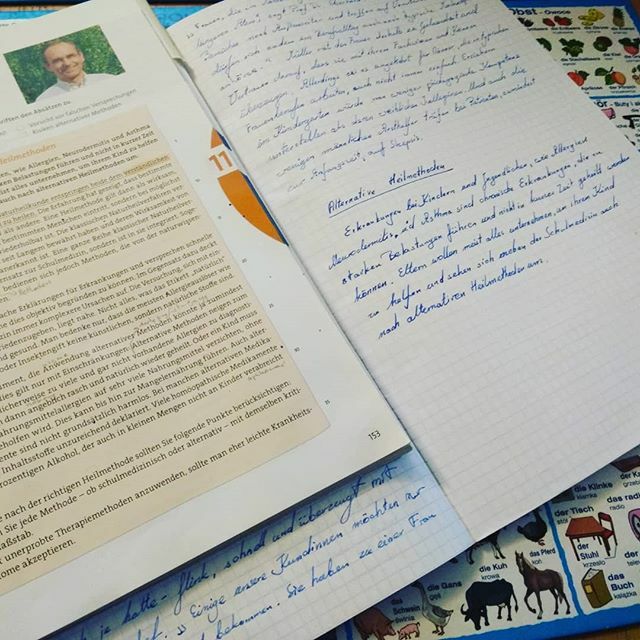 I bought some second-hand German textbooks, those cheaper ones. Just to read them through, not to study them carefully. You could also just go to a library, but I prefer to have my own copy. This exercise also gave me some confidence – I understood quite a lot again! New words were easy to understand from the context alone. The input was comprehensive, so Krashen would be very glad. As I mentioned, I had a problem to engage in online communication using German. To overcome this obstacle I started writing in German. Short stories, very simple, sometimes even stupid. The idea was not to become the second Goethe but to use skills that I’d just learnt. The sentences were short and simple. I didn’t, However, only write my own texts. I also started copying in handwriting other texts. This turned out to be wonderful. I practised too skills at a time! I’ve been doing it for quite a while and this is so good. When struggling with a language we should never read things once, because little of it is remembered. I found it better not to chose books for this activity, but short articles from the internet. The procedure was simple: read them once, check vocabulary. Read them for the second time. And the next day, and next week. 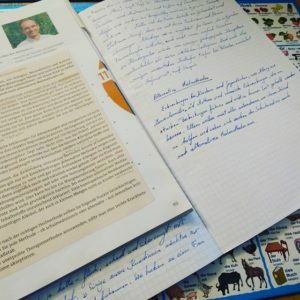 Übung macht Meister – practice makes perfect. As mentioned before, I also copied the texts. New vocabulary started to find its place in my memory. The context in which it should be used was also present. Grammar structures become clearer with each reading. Only later I moved to reading books for entertainment. I haven’t mentioned graded readers. The reason is simple – I haven’t found one for me. They are very useful too, but as English ones are really well graded, some German ones I flipped through were not well suited for the level they should be. It doesn’t mean I haven’t read a single one, just not at that time and I regret it. That would also help me. But I got a few comic books! Die Klugscheisserin https://www.youtube.com/user/klugscheisserwissen/ – a channel about science, knowledge etc. Signing up for private lessons on italki was one of the best ideas. Having regular conversations with natives and great structured lessons with Martyna boosted my language skills. Rom ist auch nicht an einem Tag erbaut worden! It is time for a small confession. I still experience this language plateau in German in a way. It started a long time ago and I often feel like a beginner – laking words, lost in syntax or misusing the cases. In my opinion, this is because of the comparison I have to English which I find rather easy and natural for me to use. I want to use German as fluently as English. My English journey is a much longer one than the German. That’s why patience is a key thing in the adventure. Rom ist auch nicht an einem Tag erbaut worden! (Rome wasn’t built in a day). Please, don’t be discouraged when things seem not to go well. Find new ways of learning German, find interesting input, review basics and give yourself some time. The results will come sooner or later. note: This article contains affiliate links which help me run this blog. 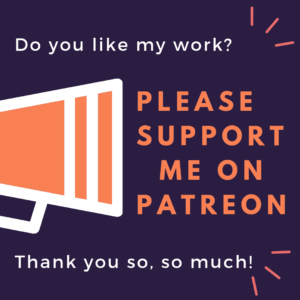 If you want to support me you can also do it via Patreon or PayPal. 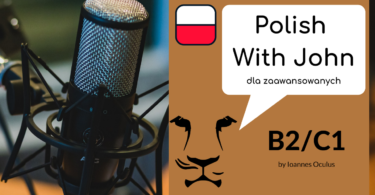 What is fluency in language?